The perfect drink to make for a party. This drink is ideal for a warm summer's night under the stars! 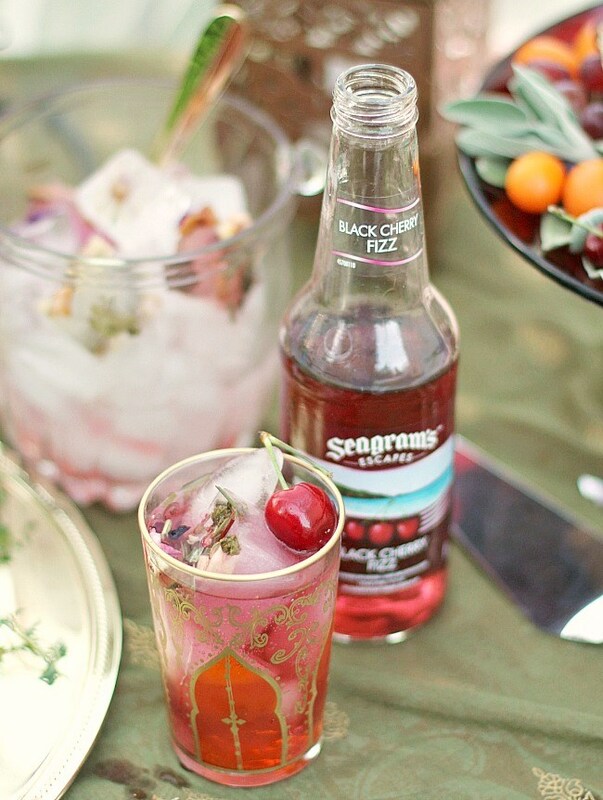 Chill your Black Cherry Sparkler with decorative ice cubes made with edible flowers and dry herbal tea blends. Just add water to ice trays and top with an edible flower or dry herbal tea (the tea blend has large beautiful pieces) so when it freezes you can see it clearly. Mix the decorated ice cubes among plain ones in a pretty clear ice bucket.